Lori studied Iyengar Yoga for many years with a variety of senior teachers nationwide and internationally. Seeking to further deepen her understanding, she enrolled in the Iyengar Yoga Association’s Teacher Training Program. Upon graduating, she found a calling to teach as well as continuing to learn. 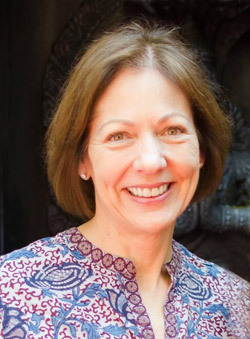 Lori has made numerous trips to India to study with the Iyengar family in Pune and is a devoted student of Manouso Manos, with whom she also studies therapeutic applications of Iyengar Yoga. In addition to teaching Level 1 and Level 1 – 2 classes, she leads the Women’s Class on Monday mornings at 8:30 AM.